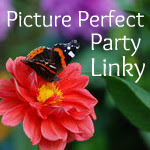 Today I'm linking with two other blog hops. 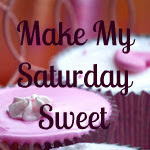 Make My Saturday Sweet below! This story moved me in a way that many movies never did. I was in my teens when it came out in 1991. It was based on the memoir of Sonora Webster Carver called, A Girl and Five Brave Horses. She was a rider of diving horses who later went blind after one of her dives. Sonora’s story shows the courage of an orphan girl during the Great Depression. She was living with her aunt, who did not love her, and later ran away after being told that she would be sent to the orphanage the following day. She strikes out alone in the world and follows her heart. Even after she becomes permanently blind from one of her dives, she finds a way to ride again and continues diving with horses for another 11 years. It’s a truly beautiful story. at the signing of the registry. windows. It was like a fairy tale! Amanda's kitten, Sheela, is now 6 months old. for several days he remained docile around her. realize that I had comments waiting in my moderation folder. hiccup on my 20$ Gift Voucher Giveaway post. I won't be switching to the new Google+ comment system. Today I chose the winner for CafePress' $20 Gift Voucher! 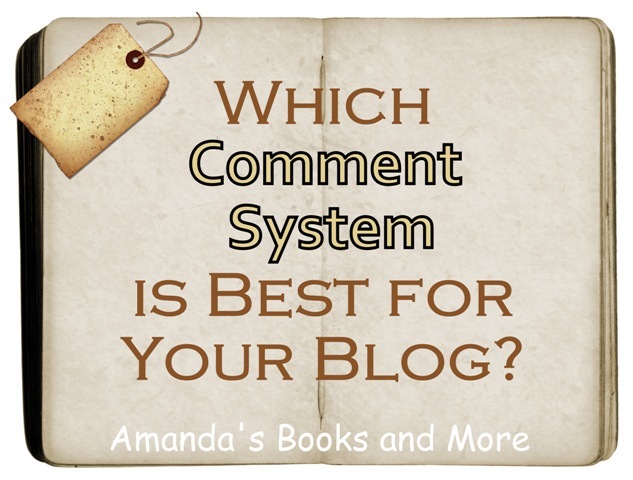 The winner is Gale L.
Which Comment System is Best for Your Blog? When I first began blogging with Blogger, I had the usual Blogger comment system that came with my Blogger templates. I realize some of my blogging friends use WordPress and not Blogger. There is a link for you too at the bottom of the post, so keep reading. I wasn’t very happy with the limited way that this system worked, so I looked into Disqus and IntenseDebate to see what features they had to offer. In the end, I chose to go with IntenseDebate, mainly because they had the CommentLuv plugin that allows bloggers to immediately access their most recent posts’ permalinks with titles by just typing in their blog’s URL. I have set my IntenseDebate comment system so that it doesn’t completely override my Blogger system. This way, it won’t erase any previous Blogger comments that were on my blogs. That means that my Blogger system is still set as the default system. It seems that, occasionally, IntenseDebate is off-line, because I will suddenly find my Blogger comment system activated. This is not ideal. Recently, I had a hiccup with my comment system on my $20 Gift Voucher Giveaway post. I was really peeved. All the lovely comments disappeared that were on my IntenseDebate system and my Blogger default comment system has taken its place. My guess is that IntenseDebate must have gone off-line for a moment and when someone wanted to comment, the Blogger default system automatically kicked in. So, I began to question again whether or not to install the new Google+ comment system instead. 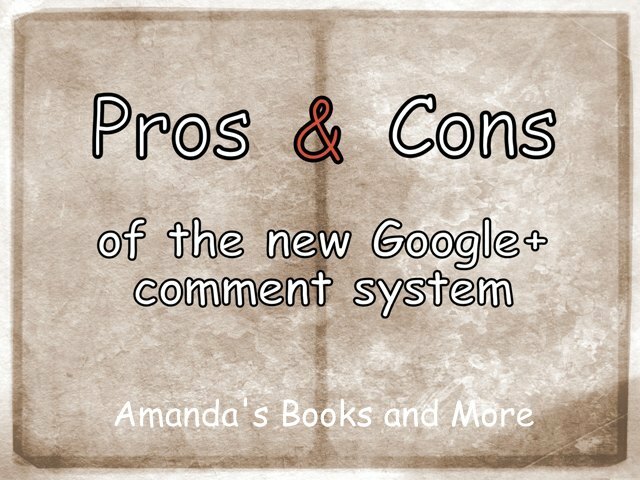 I have decided for the second time not to go this route, because I will lose all the comments that I’ve accumulated with IntenseDebate and because Google+ requires your readers to have a Google+ account before they can leave a comment. This is not flexible. This is forcing people, in a way, to open Google+ accounts who never wanted them before. I suppose finding the best comment system for your blog is like finding the right spouse. You will hopefully fall in love with one system over the others, but it will come with the good and the bad. So, choose carefully, because you will have to live with your choice. for years I felt like I was completely out of the loop, living in obscurity, while life was passing me by. I missed having girlfriends who share similar interests and I desperately wanted to do something more with my life. Blogging made it possible to hone my skills in writing and photography, two talents that were, for the most part, lying dormant. There were also personal stories and experiences that were bursting inside of me, waiting to be told. Blogging has given me the opportunity to have a voice and to put some of those talents to work. I also love networking and making new friends. I’m a firm believer that if we desire for our children to grow up and be all that they are meant to be, then we must lead the way. My blogs are only the beginning. On Friday I took Amanda to the small-town circus that arrived for the weekend. It was her first circus and she says it was her first time to see live lions and a tiger. I think she's right about that. It's interesting that she knows this and I didn't realize it. The bigger kids have been to zoos and game drives, but our Cape Town Zoo closed down (it was privately run and they couldn't keep it going). Amanda can't wait to go on the game drive in Animal Kingdom. The big kids say they'd rather go on rides and skip that one. It's kind of funny, because we're in South Africa and Amanda's first game drive will be at Disney World, U.S.A.
We weren't allowed to take any pictures once inside the tent. Check out the McLaren Circus to catch a glimpse of the animals and performers that we saw. Don't forget to enter my $20 Gift Voucher Giveaway! We are counting down the days to Disney World! Today is May 21st and we leave on June 21st. Amanda with her Minnie Mouse doll for the very first time. and the Minnie Mouse doll from Grandma Naty. We are dreaming of Disney World. This is a very recent picture of Amanda on her bed. Samantha sleeps in the bunk above her. CafePress is giving away a $20 gift voucher to one of my readers. They are an international company and this giveaway is open to everyone. I highly recommend that you check out my post, "CafePress - A One-of-a-Kind Online Shop," to find out more and to get some good ideas of what you can buy. The winner will receive his/her voucher from CafePress via email. You can find the Rafflecopter at the end of this post and follow the suggested entries to earn points. I got my $40 voucher the other day and I let my girls spend it. This Pony Kids T-shirt below was chosen by Amanda and the Vintage Boombox Jr. T-shirt was chosen by Jessica, who will turn 15 in a couple of weeks. Today I'm linking with two Friday hops! Finish the Sentence Friday and Friendship Friday. the bottom on my blog hop! own a candy store. 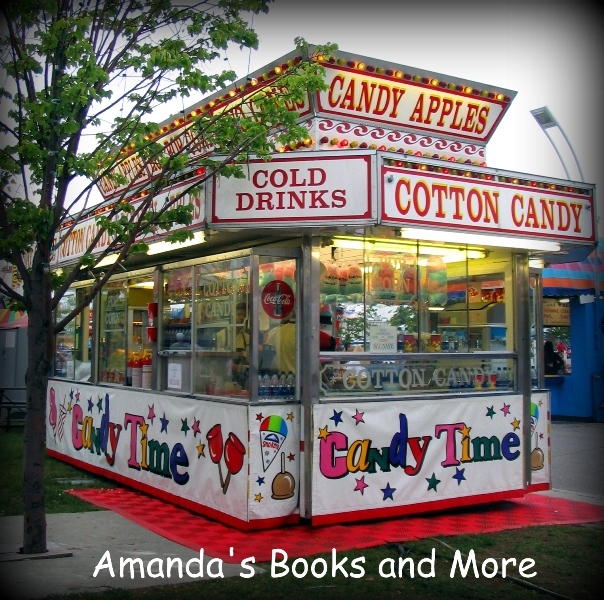 I loved imagining being surrounded by all the colorful sweets and seeing the wonder and joy on children’s faces. For me, a candy store was one of the happiest places to spend your days. It wouldn’t feel like work at all and I’d sample the tasty treats whenever I wanted to. I still remember what house we were living in when I day-dreamed about my candy store, so I would have been around 10 years old at the time. It was a step up from a lemonade stand, something I also did in those days. Believe it or not, people stopped their cars and bought lemonade in those days. I was thrilled to make a bit of money and to see the smiles on the adults’ faces. me. I couldn't read in English either, so that didn't help. I had a grandfather and grandmother who were living in Germany. instead of the even closer American school. Later on, from about Grade 5 and onward, I began reading avidly. One of my favorite novels in my teen years was Jane Eyre. Make sure you check out the Kid Lit Giveaway Hop! for this Children's Book Week. So, don't miss out! I shared a Mother's Day photo on Sunday. linky list at the bottom of that post. Here are two more photos taken on Mother's Day. so please check it out this Wordless Wednesday. I first want to wish all moms a very Happy Mother's Day! honored today too. We are the backbone to a healthy society. My 12-year-old daughter made me breakfast this morning. This week is Children's Book Week from 13 - 19 May. or other prizes! Their hop will go live on the 13th. My giveaway goes live now, so keep reading! book in the series and got really caught up in the story. cool scientific information that makes the story feel possible. It will even keep Moms entertained. to visit the mermaid city of Kai Kaona and meet her mother. you do win (mobi, epub, or pdf). when you visit the series’ blog, Miri Attwater’s World. While you’re there, don’t forget to sign up for the newsletter! got to see the nighttime launch at Kennedy Space Center in person. Ivy also worked as a writer and editor of children’s science textbooks. But she got tired of the publishers taking out all of the fun parts. crafts published in Family Fun Magazine. Ivy now lives in the hills of Central Texas with her husband and three kids. mom is willing to catch – a dog named Topaz. 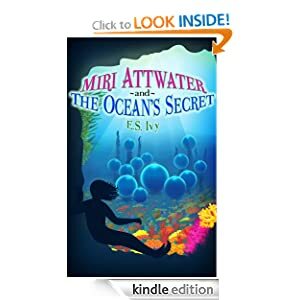 1st book in the Miri Attwater series!